The month of November is right around the corner; which means shopping lists are being filled out and retailers everywhere are rolling up their sleeves. A new holiday season is upon us and it is expected to be another big one. Just how big? The National Retail Federation says they expect to see holiday retail sales for November and December to increase from last year’s number of $655.8 billion to between $678 and $682 billion this year (an annual increase of 3.6 to 4 percent). What will lead to an increase in holiday retail sales for 2017? 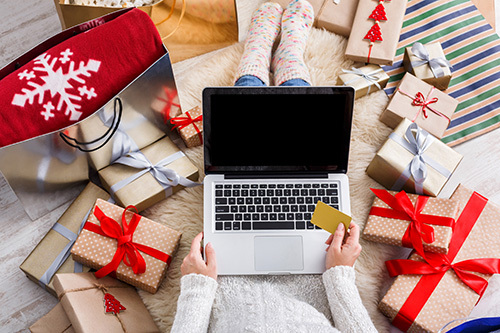 “Although this year hasn’t been perfect, especially with the recent devastating hurricanes, we believe that a longer shopping season and strong consumer confidence will deliver retailers a strong holiday season,” says Matthew Shay, NRF President and CEO. This year, the gap between Thanksgiving and Christmas is 32 days. That is one full day more than the same time period last year. Also, this year’s holiday falls on a Monday, which gives consumers a whole extra weekend to cram in that last-minute buying. Another reason for the estimated increase is consumer confidence. According to NRF Chief Economist Jack Kleinhenz, a “combination of job creation, improved wages, time inflation and an increase in net worth” will all be fuel for that confidence in spend this year. How can I be prepared for the holiday rush? Well, as we noted in our post earlier this year, planning ahead can save you a lot of frustration. Here are a few areas that we feel are the most important to focus on to account for the holiday rush. Maintain an appropriate level of staff for your busy season. Have the right amount of warehouse space for any additional inventory. Utilize an Order Management System to process, track and organize orders, inventory and the overall relationship with your customers. Use promotional marketing on your packing slips offering customers an incentive to come back and shop for more. Discounted shipping rates to reduce the cost for your customers and allow you to offer free shipping. Same Day Shipping to get your products to customers quickly. Experienced Customer Service staff to keep customers happy and minimize returns. Speaking of Returns! You definitely will want to have a solid Returns Program in place to ensure your process is customer-friendly AND that you are protecting your bottom-line! Hopefully these tips will help as you prepare for those holiday shoppers. We would like to wish all of our retail friends a wonderful (and successful) holiday season!